Eureka County was established in 1873. 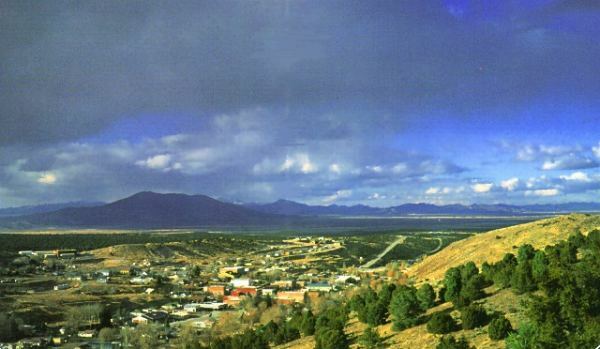 Its lands were derived from Elko, Lander and White Pine counties. The Town of Eureka was first settled in 1865 and was subsequently designated the County Seat in 1873. Few areas of Nevada can boast the diversity of natural, historic, and economic resources that characterize Eureka County. From alpine mountain peaks to irrigated valley floors, County residents enjoy a diverse physiography that supports important natural resources and economic activities. Eureka County is one of the few Nevada counties which is traversed by Interstate 80, U.S. highway 50, and the mainline Union Pacific rail lines. Within Eureka county can be found commercial quality geothermal, oil, and mineral resources. North America's largest gold mines are currently located in the north part of the county. The growing demand for natural resources produced in the intermountain region of the United States has brought both prosperity and concern to Eureka County. The demand for energy and precious metals has bolstered economic activity through the production of oil and gold. In recent years, Eureka County has experienced significant levels of immigration from workers and their families. Population growth requires the County to consider efficient uses of land as well as provision of public facilities and services. At the same time, urbanization of the intermountain west has brought interest in the management of public lands and increased regulation of traditional uses such as domestic livestock. As a consequence, agriculture in Eureka County, long considered an important stabilizing factor, has been faced by escalating costs of operation and limitations in access to forage resources. Collectively, these issues have galvanized residents and their elected representatives to seek mechanisms to manage growth and influence resource management. These actions are viewed as necessary to maintain and enhance local economic security and the rural quality of life which has typified Eureka County.